The main motive of Wisdom Times is to make your life meaningful and a purposeful one. Here we have the 51 Best Wisdom Quotes from the most successful people…for you to gather a little bit of their wisdom and to make your lives also successful. Never underestimate yourself when you do what is right. 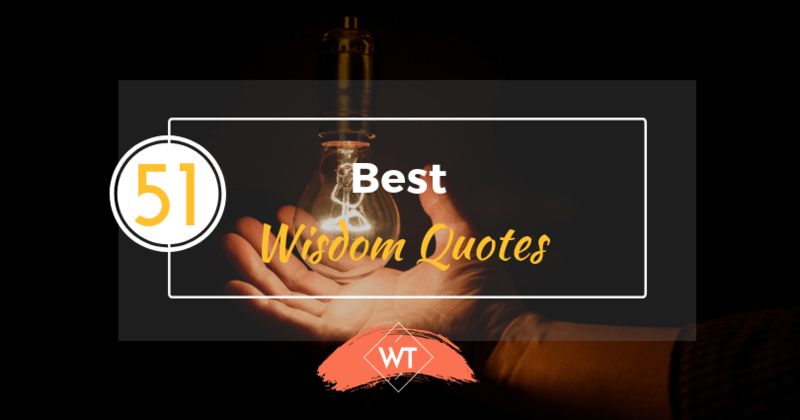 With these 51 best wisdom quotes we hope that you all have started to acquire crumbs of wisdom from the sayings and are already on the path of making your existence a valuable one. Wisdom Times wishes you all the success in your life. Cheers!